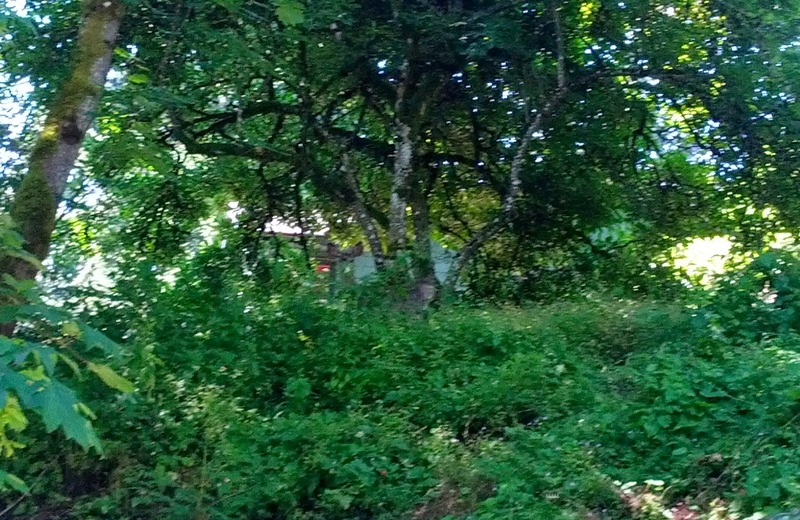 Look closely: there's a deer in the middle of the picture! One of the allures of running outside when you live in a part of the city/suburb with plenty of native forests is the possibility of coming across some semi-exotic wildlife (i.e., not just your typical chipmunks, squirrels, banana slugs). My favorite encounter is still the coyote that I see on rare occasions (at least, I think it's the same one). More common are deer. In fact, more than once, we've had deer visit our backyard. Anyway, on my long run today, I was chugging along, listening to Peter F. Hamilton's Pandora's Star through Audible.com and enjoying the sunshine, when all of a sudden I had a quick rustling noise in front of me. I stopped to look around, pausing RunKeeper as well, and about ten feet away up on a little hill was a good-sized deer! Apparently I'd startled it and sent it scurrying away from me. It stared at me as I called up the camera on my smartphone to take a picture. Don't run away, I thought to myself while waiting for the app to launch. It stayed still. Perhaps it was thinking of me as a T-rex: "if you don't move, it can't see you." (Not true, by the way.) Picture in hand, I resumed RunKeeper and got back to my running. Alas, no more wildlife for the rest of that run, other than some roadkill (three birds). Funny episodes of "The X-Files"
It's hard to believe that Fox's "The X-Files" has been off the air for over a decade now. Of course, it's been even longer since it was good, despite the valiant efforts of Robert Patrick and Annabeth Gish as the ostensible replacements for David Duchovny. It makes me wonder how well even early "X-Files" episodes hold up today. Recently, I went for a long run on the treadmill and didn't feel like watching my current binge-fest ("The Wire"), and for some reason I was inspired to stream "The X-Files: Fight the Future." It was better than I remembered, although exhibiting much of the same flaws as the TV show: excellent on the mood and atmosphere, and better at setting up the conspiracy angle than at resolving it, and disastrously weak at the end. Still, it was a positive enough (re)experience that when I had only 45 minutes for a treadmill session, and hence not enough time for a full episode of "The Wire," I opted for "The X-Files"' season 5 comic vampire episode "Bad Blood." This is really a brilliant - and funny - episode, with the first and second third of the episode being told from Scully's and Mulder's points of view, respectively, and then an objective/omniscent view for the last third that follows the events of their earlier narration. The acting performances that each gives in the other's viewpoint are appropriately exaggerated versions of their character foibles (Scully comes across as a bit of a whiny and annoying skeptical; and Mulder comes across as manic and dismissive). The clues are all there to figure out the mystery, and in retrospect you can see how cleverly and meticulously writer Vince Gilligan (who would go on to create "Breaking Bad") was about getting all the details right. ABC's "The View": yea for dumping Jenny McCarthy! I don't watch "The View" but any move that gives Jenny McCarthy less of a platform to spew her anti-vaccination nonsense is a good one. Apologies for the rant that follows; I know that no one is to "blame" here, and no doubt there's a reasonable probability that I'm as much of an offender as the guy I'm writing about, but when it comes down to it, we only have our own subjective experience of reality. Today I went to the gym for my long run (delayed from Monday due to my schedule this week as Mr. Mom). It turns out that I could've run outside, but the weather forecast had called for afternoon rain, and the skies were looking ominous. I got on the treadmill in the middle of the row, with at least two empty treadmills on either side of me. Six minutes later, a guy started setting up on the treadmill to my left. He smelled really bad! Not in the "having taken a bath in a week" kind, but the heavy smell of rank sweatiness. * And this was before he ran a single step. . . .
* Correction: Sweat doesn't smell; the bacteria that feed off sweat do. What was especially annoying was that (1) he could have taken a treadmill two spots to my right, where he would've had no one on either side; and (2) the treadmill he took indicated that it needed to be lubricated, but he started it anyway. He then proceeded to jog along at a 10 minute/mile pace. He looked much more like a weightlifter than a runner, so I was hoping that he would warm up for a mile and then go lift heavy things. I also thought maybe I would get used to the smell and stop noticing, but it didn't work like that. It seemed like the smell would fade, and then I would be blasted by a fresh wave of it. Ten minutes passed, and he stepped off the moving belt and manually slowed the treadmill to a walking pace. Excellent, I said to myself. But after a bit of walking, he sped the treadmill back up to a 10 minute/mile pace! Okay, maybe he was going to cover two miles . . . .
50 minutes!!!! I ended up enduring 50 minutes of olfactory offensiveness before he finished. The worst thing is that, of course, I realize that there's nothing reasonable that I could say to him. I mean, if I'd said, "Dude, you smell really bad," what response could I really expect? It's not like he had slathered on way too much cologne or anything. When we exercise, we sweat - some more than others. And for all I know, I might also have a Pepe le Pew-like effect on those around me after I've gone running (though, I think, not before I've even started). In my defense, I do try to avoid taking a treadmill next to other runners if possible. White grapefruit, sweet potato, leek, blackberry, turnip, rutabaga, red grapefruit, lime, orange, winter squash, radish, strawberry, iceberg lettuce, lemon, tomato, carrot, cabbage, cauliflower, kohlrabi, scallion, Brussels sprout, pumpkin, broccoli, arugula, red pepper, dandelion greens, kale, chive, endive, mustard greens, turnip greens, collard greens, romaine lettuce, parsley, leaf lettuce, chicory, spinach, beet greens, chard, Chinese cabbage, watercress. Most of those are not unknown to my dinner plate. Except I've never heard of kohlrabi before. In conclusion, Once Upon a Time's Frozen tie-in is a shining example of Disney doing what it does best -- effortlessly crossing one business segment's property into another to maximize exposure and profitability. It's a simple concept that Disney's rivals can't grasp. Time Warner, for example, has allowed its small screen DC heroes -- Green Arrow and Flash -- to inhabit a different world from big screen counterparts like Batman and Superman, crippling the ability of the CW (which is co-owned by CBS) to directly tie into Warner Bros.' films. 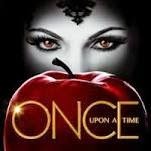 Once Upon a Time's crossover might seem ludicrous, but it's quite standard for a show that has already featured Red Riding Hood turning into a wolf and introduced Peter Pan as a villain. Simply put, it's a fun idea that could boost ABC's ad revenue, increase sales of Frozen DVDs, Blu-Rays, and albums, and strengthen Disney's cohesive connections between its film and TV universes. The column also notes how "Agents of SHIELD" is basically a series of 42-minute commercial for the Marvel Cinematic Universe movies. As a Disney shareholder, I'm pleased to see that the company has a clue about how to maximize the value of its assets. 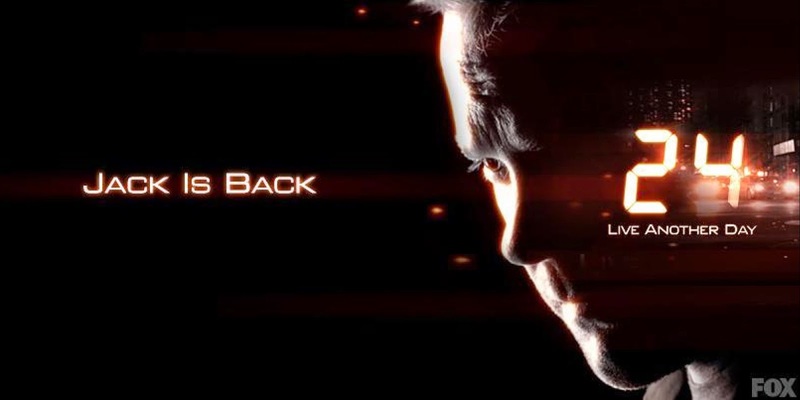 With just four episodes left, "24: Live Another Day" is rushing toward the end of the drone terror plot, or is it? 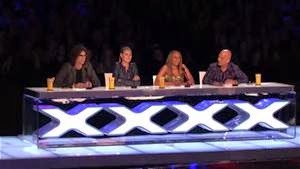 NBC's "America's Got Talent": special Sunday episode! We got a special Sunday episode of "America's Got Talent" - probably because it gets better ratings than just about anything else on TV right now. This appeared to have been cobbled together from various auditions across the country, as the judges' clothing changed throughout. 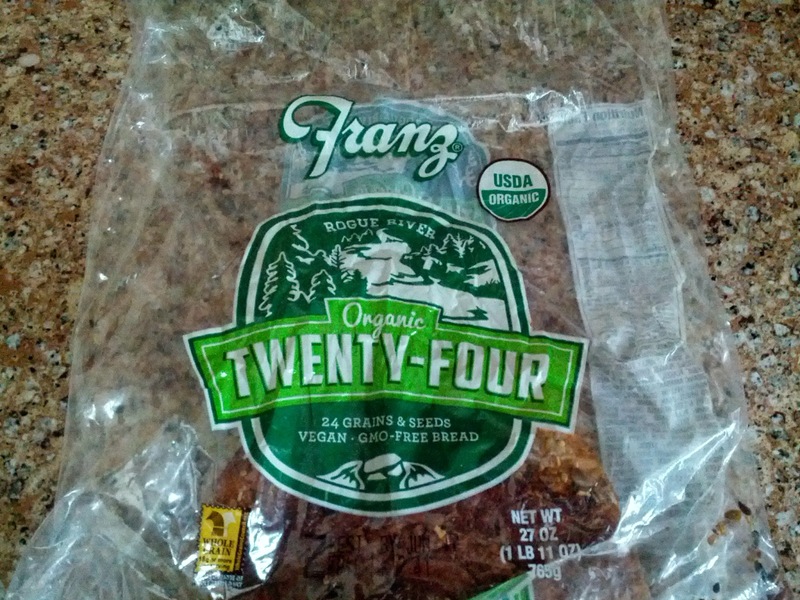 Jack Bauer's bread of choice? The Wall Street Journal has an article about FX's strategy for ordering new shows: rather than order one season at a time, it's ordering 10 to start with, and if it likes the ratings that those 10 get, it will order 90 more. Why 90 more? That gets the show to the magic number of 100, which is generally thought to be enough for a good syndication deal. As the article notes, it usually takes a series five years to get to 100+ episodes (assuming 20-24 episodes a season; cable shows typically have shorter seasons). In the meantime, if ratings go up, so do salaries. [U]sing the "10/90" strategy, the channel aims to produce all of that content in as little as two years. If the strategy produces a hit, FX will get the equivalent of what it would get from a hit broadcast show. If it doesn't work, FX argues, the downside is limited because it gets a discount for ordering so many episodes at once. 2 years? Sheesh, that means they're going to produce something like 45 episodes a year after the first season of 10 episodes. I know soap operas shoot very quickly, but I was under the impression that most prime time shows take about 8+ days to complete an episode (not counting the time to write the script). That's a pretty tight window to make 45 episodes, and doesn't give any break time. It's silly Internet quiz time! This one asks, "What Country in the World Best Fits Your Personality? You are an adventurous individual who enjoys being outdoors and spending time being active. You are a risk taker and have no problem striking up a conversation with a total stranger. When you travel you love to get to know the locals, and their customs, and are always up for a challenge. You thrive in a culture where others share your deep appreciation for land, and believe life is best lived outdoors. You love a hard hike, but also love the water and are happy to spend a day beach side. You thrive in a society with diversity and appreciate a simpler way of living. You are keen of learning about cultures and customs that are different than your own, and enjoy a deep conversation, whether it be philosophical or spiritual. You are not a city dweller by any means, and definitely believe that life is something to explore and experience firsthand. This country gives you endless opportunities to live both an active lifestyle and enjoy the company of new found friends. But I am up for deep conversation, like Jack Bauer's philosophy. While going for an easy run this morning, I once again spotted a coyote* and once again was too far away and too slow in switching my smartphone to camera mode to get a picture. (This is just a stock photo, sadly.) The coyote was trotting ahead of me on the descending portion of my run, which was on a two-lane paved road alongside a preserved forest. Then he stopped and turned his head back when he sensed me, and stared at me for a long moment, giving me momentary hope that I could close the distance and take a picture. * For all I know, it's the same coyote that I've seen before. Having seen enough of me, he resumed his downhill trot with greater alacrity and then darted right down a steep trail into the forest. At this point, the wise thing to do probably would've been to keep running, but while I am in my mid-forties, I sometimes still have the reckless enthusiasm of a twentysomething, so I paused RunKeeper and ventured down the trail slowly. Alas, the coyote was nowhere to be seen. The trees were dense enough that a small creature like a coyote could easily disappear like that. Disappointed again with my lack of pictorial proof, I trudged back up the trail, got to the main road, resumed RunKeeper, and continued my run. I'm not sure why coyotes intrigue me so much. I've seen deer several times without feeling anywhere near the same sense of missed opportunity when I fail to get a picture. Anyway, it's one of the cool things about living in the Pacific Northwest. Having grown up in Southern California, I obviously didn't see this kind of North America wildlife. Is it wrong to use watermarked race photos? As I mentioned earlier, I have shared a few of these PROOF photos on my own Facebook page. I have also purchased the full-size versions from time to time. But never – not once – have I seen a race photo that I loved, that I really wanted, and thought to myself, You know what? That's a great photo, but instead of paying for a nice, big, clean version, I think I'll save 30 bucks by grabbing this tiny, pathetic version that's plastered with watermarks. In the lengthy comments section, Remy and others debate whether this is like illegal downloading/file sharing of MP3 music files. It seems to me the "hey, the photographer hasn't lost anything" argument ignores one of the central tenets of intellectual property law, which is the right to exclude others. Whether the copyright infringer has profited from the infringement may be relevant for the purposes of establishing how much the infringer has to pay, as the Copyright Act includes "additional profits of the infringer" as part of that measure. The more interesting debate in the comments, though, is, "why are race photos so freaking expensive?" A number of professional photographers chimed in, pointing out that theirs is an art that requires training, experience, equipment, and effort (quickly matching photos to runners), and that the photo prices simply reflect all of those inputs. Numerous runners responded that they would be willing to buy photos (digital or print) if they were cheaper, but not when the photos cost as much or more than the races did. Anyway, what seems like a reasonable price to pay for a single race photo? I clicked through the email I got today and was surprised to see that there were a couple of decent-looking pictures of me, and the price for one 5x7 printed and mailed was $13, which seems merely expensive as opposed to outrageous, so I might be ordering it. It's day 4 of the auditions for "America's Got Talent." All in all, I thought it was a bit of a subpar night with only a couple of standout acts. * Emily West (singer): She sang "Sea of Love" and did a good job with it. She has a quirky vibe and looks kind of like a young Bette Midler. I don't like seeing singers on "AGT" but she's one of better ones we've seen so far. * Baila Conmigo (salsa dance troupe): They were fast, coordinated, and flashy. I could've done without the little kids, not that they weren't talented, but just that I find kids' acts to be gimmicky. * Rachel Butera (impressionist): She wasn't bad but I wasn't as impressed as the judges were. The impressions sounded accurate, but as far as impressive impressionists go, the ones in past seasons have had something more. * Legaci (nerdy looking singing group): That was unexpected. These guys looked like they would sound like William Hung, but they were quite good singers. How much did they benefit from low expectations? I guess we'll see in future weeks. * Mat Franco (magician): WOW. When he asked to approach the judges with his deck of cards, I was thinking, "Hmm, is he going to be as good as Smoothini?" Well, it's hard to compare because they're such different acts even though both are close-up card tricks. As Howard Stern put it, this is something I've never seen before -- shuffling the deck repeatedly but still dealing out the right cards to tell a story (using numbers, face cards). * Paul Ieti (singer): Strong voice a little reminiscent of Adam Levine, and a crowd-pleasing backstory (kid from America Samoa joins the military, and his singing is what gets him and his fellow soldiers through tough times in active deployment in Afghanistan). * Christian Stoinev (hand balancer): You have got to be kidding! He didn't just balance on one hand; he did on one finger stuck in a bottle! He rotated the pole he was balanced on using just one hand! As impressive as the other hand balancer from last week was, this guy was better. * Maggie Lane (scantily clad opera singer): Will guys with significant others be allowed to vote for her? * The Doctor Benji (grandpa musician): I actually prefer it when they don't show the "joke" acts. * Magical Voice Doctor (voice coach): Well, I guess seeing Howard Stern get humiliated was kind of funny. * Laura Dasi (aerial performer): Very good, although to my untrained eye, these aerial performers all kind of look the same. Um, wow. Wow wow wow. We're now 2/3 of the way through "24: Live Another Day" and the quality has not let up at all. We even got our first (and second) shouts of "There's not enough time!" Yikes, a reason to embrace the treadmill? Yikes! 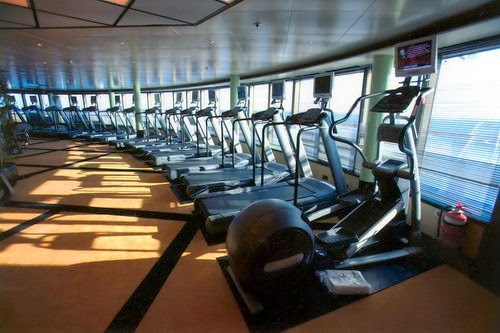 A lot of runners don't like treadmills, referring to them as "dreadmills." They're kind of monotonous and they don't teach you to monitor your own pace. But maybe there's a place for them after all. Outside running may be more scenic, and it may train your pacing better, but it's not without hazards: cars, air pollution, bad weather, and so on. Skin cancer, too. At least skin cancer can be avoided by using lots of sunblock. Not so fast, says a Runner's World article. Sunblock works, sort of, but it's not close to 100 percent protection against damaging UV rays. Here we show that sunscreen (UVA superior, UVB sun protection factor (SPF) 50) delayed the onset of UVR-driven melanoma, but only provided partial protection. Partial protection is better than nothing, of course, but it's still only partial. Well, I ran my 11 miles this morning on the treadmill. Yeah, 11 miles was pretty monotonous. I was planning on 12+, maybe even 13 while watching "The X-Files" movie, but just as the movie started wearing down after about 90 minutes, so too did my mental fortitude. Once you start running races, if not even before then, the kilometers to miles conversion gets pretty easy to do in your head. I think it's because the most popular road races are 5Ks and 10Ks,but here in the United States, we still use the English imperial system of measurement, so 5K = 3.11 miles and 10K = 6.21 miles. I don't have the best kick in the world, but sometime before those last 0.11 miles in a 5K, I like to go all out and empty the fuel tank. That leaves me dependent on either having a reasonably accurately measured race course, or knowing in advance that the course is going to be a non-standard distance. For some reason, I've had a string of races lately that have been off. There was a 10K in March that checked in at 6.43 miles, a 5K in April that came out to 3.18 miles, and then most recently, a 5K that fell short at 2.93 miles. Now it's possible that the GPS on my smartphone was slightly off, as even GPS watches aren't perfect, but I'm inclined to think that the errors in those races were the actual distances, not my phone, because the race times I turned in (and in some cases, those of other racers that I talked to) were consistent with the courses having been mismeasured. Assuming that my smartphone GPS was accurate, we're talking about mismeasured course distances of 3.5%, 2.3%, and 5.8(!)%. Those seem like pretty significant inaccuracies. The last one was the strangest one of all, as there was a short out-and-back segment in the middle of the race, where it seems like it would have been trivially easy to tack on an extra 0.09 miles to make the distance right. Now, I'm not an elite runner, and these aren't qualifying races for any bucket-type events, so in the long run, it's not a big deal. But I found the last race in particular a bit annoying because I was pacing myself based on the expected distance, and the end of the race was hidden around a corner, so I basically finished with a very short kick, not to mention a sub-20:00 "5K" time - a goal that I'm chasing right now - that isn't real. I was comped this race, so I can't really complain, but if I'd paid the entry fee, I think I'd be a bit more annoyed - although I guess it would mean that if the organizers use the same route next year and I run it again, I'll be prepared to speed up at 2.7 miles instead of 2.9. Should health clubs be taxed like other services, or should they be subsidized? To partly offset the loss in revenue, the city council decided to expand the sales tax base to include some currently untaxed services, such as carpet cleaning, beautician services, and storage facilities. It would keep the sales tax rate at 5.75 percent, lower than Maryland and Virginia. However, one particular service industry is trying to sink the entire deal. The sales tax base expansion would include fitness services, such as gym and yoga studio memberships. One gym, Vida Fitness, is leading the charge against the “D.C. Fitness Tax,” urging customers and D.C. residents to sign a petition opposing treating fitness services like most other retail goods and services. Contrary to what Vida Fitness and others say, this isn’t a new tax only affecting their industry; it is simply the expansion of the general sales tax base to include their industry’s products. It’s not the actual nail that is damaged, but the nail bed, the tissue under the nail that is rich in blood vessels, Dr. Jung says. Running, particularly running downhill or while wearing shoes that are too small, puts pressure on the front of the foot and can traumatize the nail that protects that bed. As a result, the nail bed bleeds, making the toenail appear black. The buildup of blood also creates pressure that can push up the nail. The nail can then detach from the nail matrix, the area at the base of the nail from which new nails grow. For the majority of runners, Dr. Jung says, that matrix remains unharmed. That’s why often when a dead nail pops off, a new one is already growing underneath. Over three and a half years of running, I've been lucky enough not to have lost any nails, and to have suffered only one purple toe, following a half marathon where the first 7 miles were downhill. Unfortunately, of the two suggestions for avoiding purple toes, avoiding downhill running where I live would confine me entirely to the treadmill, so that's not really so feasible (although I guess I'd have even more TV to blog about). * Smoothini - This guy was fantastic! He did up close magic tricks with just sleight of hand. making multiple cards appear out of thin air; pouring salt into his hand, making it disappear, and then reappear; and other stuff like that. With the benefit of TiVo's ability to rewind and pause, I was able to spot some of his tricks, but there were others that still left me baffled. Besides the arsenal of tricks performed at a rapid-fire pace, he's got charm and the kind of backstory that "AGT" loves, as he's a former U.S. Marine who honed his skills while serving in Kuwait. Best act of the night, and of the show so far. * Andrey Moraru - Another very impressive act. He called himself a "hand balancer," and that's what he did: support his entire body in the air on one hand, at impressive angles, including one neat pose where his arm in the air and his legs are arranged in parallel to the ground. I think he'll progress into the voting rounds, but these sorts of gymnastic/strength acts don't seem to have the deep support that singers, etc. tend to get. * Ballet Jasmine Flower - This was an all Asian women dance troupe that used colorful fans to great effect with their coordinated movements. Very pretty to watch. * Bob Markworth & Mayana - 70-something year old guy with a crossbow shoots at balloons held by his young female assistant. Except sometimes he doesn't shoot the balloons, but at articles of her clothing. Funny act, but the crossbow acts seem to have trouble coming up with newer and seemingly more dangerous stunts to keep wowing the judges. * Mudslinger on the Pig - I have a soft spot for pigs. This act had a cute pink pig . . . with small tusks! It made me look up whether all pigs have tusks, which led to the answer that hogs do. Which in turn led me to wonder, what is the difference between pigs and hogs. * Jodi Miller - This comedienne did an entire riff on men being cats and women being dogs, which had pretty good body acting in tandem with the jokes. But I've always thought that as far as gender and pet stereotypes go, men are more like dogs and women more like cats. After all, cats are cleaner than dogs. Anyway, she was funny, but I think the comedian from the first night was funnier. What did you think of this week's episode of "24: Live Another Day"? Last week was a taut, action-packed episode, and this week followed up with more action, devastation, and the latest twist. It's hard to believe the mini-season is more than half over now. Never give up . . . seriously!